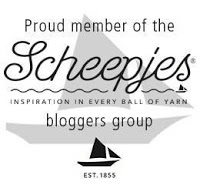 Last week I shared with you a review of a lovely yarn with which I've been working--Scheepjes Secret Garden*. 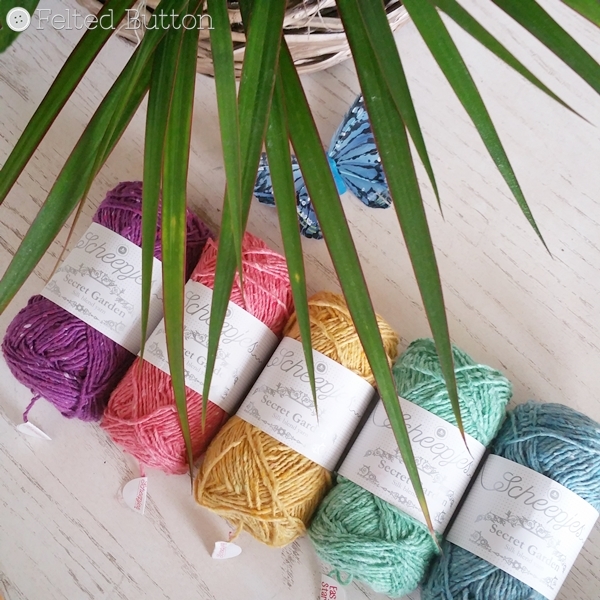 You can read that post and my thoughts about the yarn here. In short--I loooove it!! 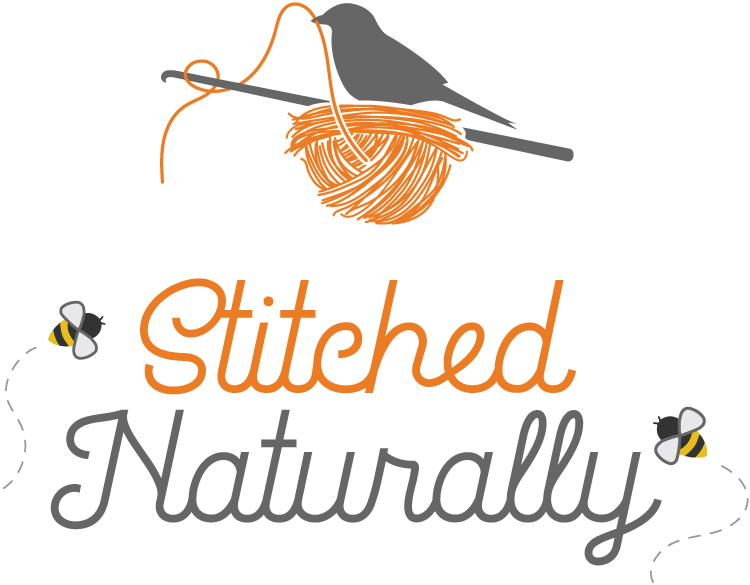 Today I'm popping in to share with you a few little peeks at my work-in-progress. I'm really happy with the "natural" feel of this yarn and the nubby texture it provides when worked up. I've chosen to play with a slip stitch design--so although the yarn calls for a 4mm hook, I've gone up to a 5.5mm hook to improve the drape. I also find that the yarn has a teeny bit of variation of thickness along its length, so the larger hook really does seem to suit this project. If you are worried that I might only be using black and white--so uncharacteristic for me (although I love classic black and white)--don't fret. I"ve got plenty of color coming. These 5 colors will also be included. And I continued with some slip stitch crochet using them, too. 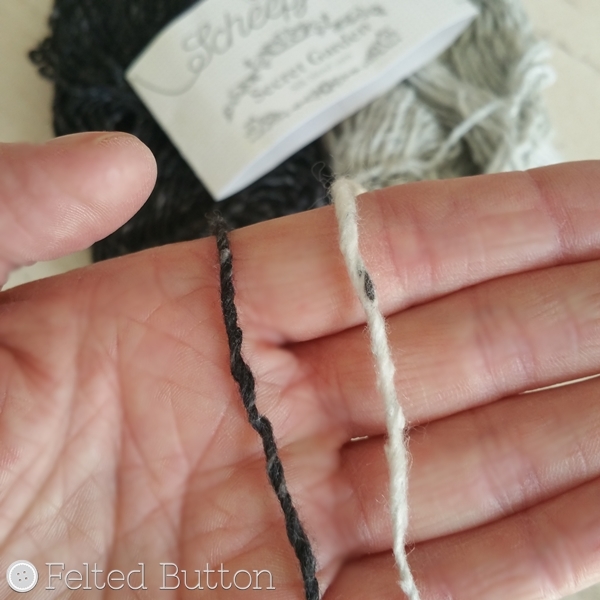 If you've never done much crocheting using only slip stitches, it just takes a little bit of practice to keep those stitches with an even and loose tension. And although it grows more slowly, it has such a fabulous texture and "knitted" look. 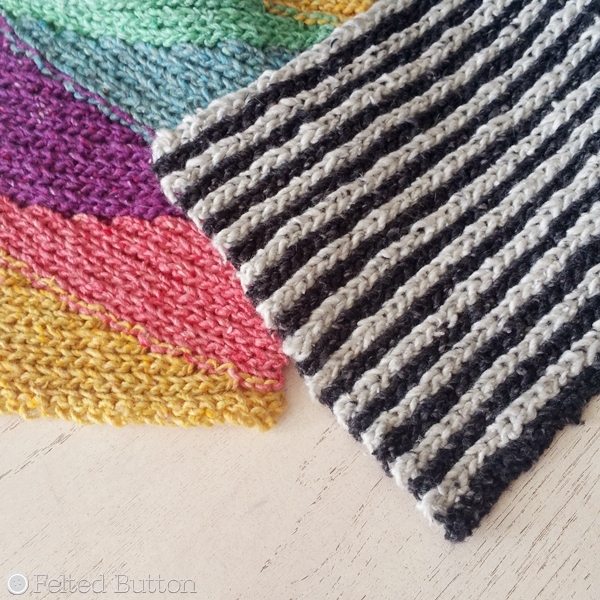 If you've never worked with short rows either, this is a good project to practice on--super simple. I hope you like the project and I'm able to inspire you to try a new technique, or two--if you haven't already. 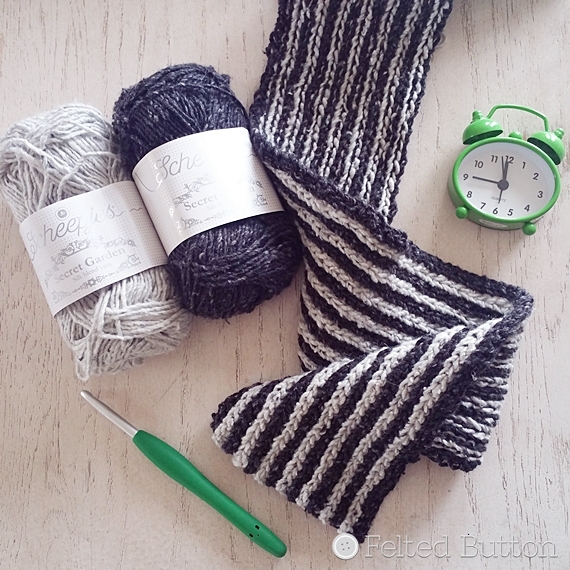 Stay tuned for the full reveal of the design, and the free pattern coming shortly after that. I can be found as Felted Button everywhere--Instagram (@FeltedButton), Facebook, and Pinterest. *This post contains affiliate links noted by an asterisk. By purchasing through them it costs you no more but rewards me a small amount and allows me to continue releasing free patterns. Thanks!